Based on the Patient-Centered Medical Home (PCMH) care model, practices that follow medical evidence to deliver high-quality, coordinated care and are committed to continuous improvement over time are eligible for NCQA distinction. Qualified programs provide a range of services for students and families in the surrounding community, from attending to episodic needs of students during the day and coordinating with outside primary care providers to acting as patients’ primary care medical home. “The Wright Center for Community Health and the Scranton School District have been partnering to bring accessible healthcare to our students since 2015. 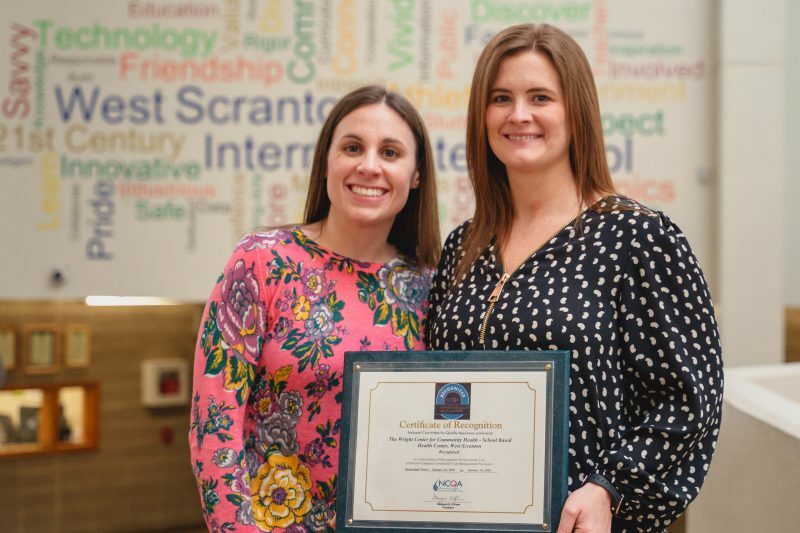 The practice in West Scranton Intermediate opened to the public in the fall of 2017 and has been so instrumental in keeping our students, their families and our community healthier,” stated Paul Dougherty, Principal, West Scranton Intermediate School.